OG makes up the genetic backbone of West Coast cannabis varieties, but in spite of its ubiquity, its genetic origins remain a mystery. This famed strain arrived in Los Angeles in 1995 after being transplant coast-to-coast from Florida by its original propagators (now known as Imperial Genetics), along with “The Bubba,” which gave way to Bubba Kush. There are many different phenotypes of OG Kush, some of which include Tahoe OG, SFG OG, Ghost OG, and Diablo OG. OG is cherished for its ability to crush stress under the weight of its heavy euphoria. 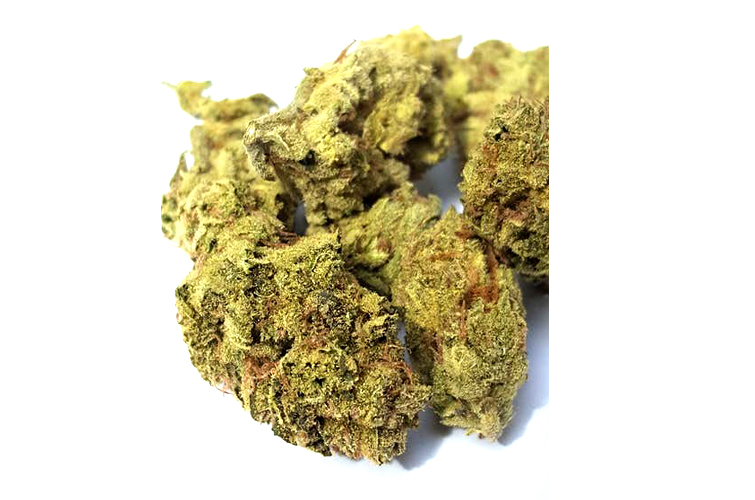 It carries an earthy pine and sour lemon scent with woody undertones, an aroma that has become the signature of OG Kush varieties and descendants.